Hydra is beautiful and noble. Once the ship enters the port it wins your heart. It is amphitheatrically built and its wonderful mansions -its unique gem- magnetize you. It isn’t a coincidence the fact that it has always been a favorite destination and a place of residence for many intellectuals and artists. From Piraeus depart daily ships and the Hellenic Seaways flying dolphins. The journey lasts one to one half hour and during summer time the timetable is frequent. You can also get to Hydra by car. Following Attiki odos and heading towards Epidavros you reach to Metochi which is next to Galata. There, you can park your car. Then you can take a marine taxi and within ten minutes you are in the island. Whatever mean you’ll use by the moment you’ll find yourself there you’ll forget the city noises. Here, cars and traffic jam are unknown words. The habitants use donkeys, boats and marine taxi for their transportation. If you’d like to visit the sightseeings you have to walk. So you’d better have comfortable shoes with you. The town itself is full of mansions and picturesque alleys and a walk is enough to get enchanted. Arriving at the port on the right side and on the left there are bastions with cannons that used to protect Hydra. You can climb up there and enjoy the most beautiful sunset you have ever watched. At the port of the island don’t miss to visit the Cathedral. It was built in 1648 and formerly served as the Monastery of the Assumption of Virgin Mary. Today houses the Town Hall and the Ecclesiastical and Byzantine Museum. On the right side of the port is located the Historical Archive and the Hydra’s Museum. Here, there are important documents and heirloom since the 1821’s Revolution such as the Rigas Feraios Map, Hydras’ Admirals guns, rare books edition, etc. Lazarus Kountourioti’s mansion, a wonderful orange building is located higher than the port and operates as a museum. Except from the exhibits and exhibitions you can enjoy its unique view. The street on the right of the Cathedral will lead you to the old town. There, you’ll find the first pharmacy of Greece. It is housed in a wonderful listed mansion and operates since 1890 till today. Right next to Rafalias family Pharmacy is their mansion. It is a rocky beach with deep clear waters near the port and it’s ideal for diving and swimming. If you like walking you can follow the road along the coast which through an exquisite route you’ll get to Kaminia. Kamini is a small picturesque dock with boats. Next to the dock is the pebbled beach Small Kamini. It is ideal for the kids. At Plakes Vlichou is located the hotel 4 Seasons. Plakes Vlichou is an organized beach and ideal for families. A little further away is the hotel’s restaurant where you can have your lunch or enjoy refreshing juices. Another organized beach and perfect for water sports. It is an organized beach with pebbles and clear waters. It is ideal for underwater fishing. It is one of the most picturesque sites of the island. The beach is organized and it is the most popular in Hydra. It’s ideal for kids. Tip: If you don’t afraid of walking you can go on foot. Otherwise you can use a marine taxi. It is located at the port center and its distinctive decoration will excite your interest. The “Plate” serves meat and sea tidbits cooked and served always with a smile. Behind the port, you’ll find “Il Casta”. If you prefer the flavors from Naples you’ll get excited. Homemade pasta and delicious dishes carefully prepared. Hydra has plenty of accommodation for every budget and every visitor. Luxurious hotels housed in old mansions and rooms which are an inexpensive solution for your stay. We chose Hotel Miranda. You can read here my article about it. Hydra is beautiful during the whole year and there are always some interesting exhibitions or events for the visitor. If you find yourself there at Easter you’ll live a unique experience. On Good Friday the epitaph that starts its procession from Kamini ends up in the sea. The waters are blessed and the seamen have good journeys. Miaoulia is another festivity with events that take place at the end of June. The visitors have the chance to experience a stunning representation of the historical naval battle with the Ottoman flagship being wrapped in flames and the night transformed into day due to the fireworks. During July the island hosts the International Festival of Marionette. On Carnival the locals and the visitors have fun at the Hydra’s Carnival. All these take place along with many local traditional feasts and fairs. Have you ever visited Hydra? I’ll be delighted to hear your impressions from the island. 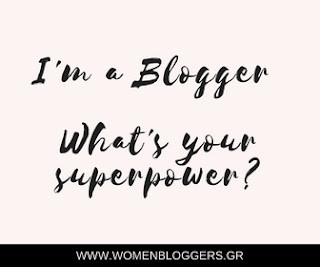 *I sincerely thank the Municipality of Hydra for the hospitality and the chance we all Travel Bloggers Greece had to get know with the island and to enjoy its beauties. *I thank also Evermore Cruises and Hellenic Seaways for our quick and safe transportation to the island.